Chevy engines are legendary. We sell remanufactured ones to give our customers a great alternative. There are only so many GM based engines that you can buy used. Trying to get a used engine with low miles is more than a difficult job. We support Chevrolet and make our rebuilt engines for sale ready for shipment at all times. You don’t have to be a lover of Chevy engines to appreciate the legacy of this brand. Our remanufactured Chevy engines give customers value, performance and exactly what they want in terms of a low rebuilt engine price. There are a lot more Chevy engines produced than Ford. We are not here to play favorites. We only speak the truth. Vehicles like the Camaro, Lumina, Beretta, Cavalier, Celebrity, Trailblazer, Blazer and Silverado trucks all used an assortment of engines. Chevy always listens to the concerns that vehicle owners have. These same concerns are put into the design and development stage. You never hear something or read something bad about Chevrolet engine development. This is due to making great choices and always making engines better. Our Chevy remanufactured engines uphold the value that customers have come to expect. 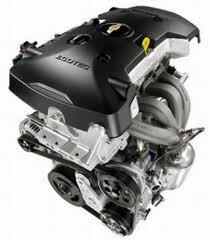 Chevy is one of few brands that have 4-cylinder, V6 and V8 engines. Many of the foreign manufacturers stick with one or two engines. The engineers that work for Chevy know that customers want different things. Vehicle owners are never forced into buying just the same old engines each year. There is consistent development. Our engine mechanics have all went through expert Chevrolet training programs. We keep up with the same developments. This ensures our customers that we can produce and rebuild anything that GM can. Buying a reman Chevy motor from our company will never be a bad experience. You’ll probably never find a more committed and professional bunch of people that are now selling on the Internet. What do you get with our Chevy engines for sale? The first thing is an expert build. The used motors that are located and shipped to us are instantly sorted and tagged. We know after a careful review what we must do to build these motors perfectly. OEM parts are the only parts that are replaced. What comes to us and what leaves us is not the same engine. Our expert team warranties the labor and parts application from failure. You ask us to remanufacture an engine and we do. The second thing we give is ultra low pricing. We don’t even jack up the engine cost after we build it, test it and send it out to customers for sale. Find the quote form right here at www.remanufacturedengines.co. You’ll use this form to get our special Chevrolet engine pricing. We carry late model as well as the classic chevy engines. All are rebuilt here. Get your quote and then review it. Call us by phone at 1-877-630-3873. We’ll give you additional rebuilt engine information or put your order together to ship out to you promptly.